When one thinks of the great family acts, what names just pop in your head? The J5 / Jacksons naturally. The Osmonds perhaps? The Wilson Brothers? The Gap Band? Which set right. The most slept on family act hands down are the Isley Brothers. 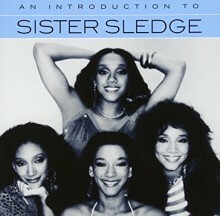 But the one name that constantly gets overlooked is Sister Sledge. The four ladies from Philly–North Philly to be exact–perhaps never had the same commercial appeal as the others mentioned, but if you check their history, you just might want to rethink where you rank them. SS even played the concert in Zaire with James Brown, the night before Ali v. Forman, and the group also had huge following in Japan. Kathy, Joanie (R.I.P. ), Debbie & Kim. That’s how I remembered their names, in that order. Forty years ago, SS released their He’s the Greatest Dancer album and became hotter than a firecracker. Hooking up with members of Chic—Nile Rodgers, Bernard Edwards & drummer Tony Thompson, who were hot as well with “Le Freak”—SS jumped on the disco train and rode it to the end of the line. 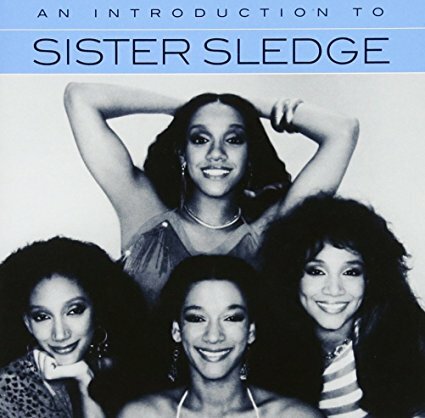 Introduction to Sister Sledge is a ten track “best of” collection. Yes, “We Are Family” is included–don’t panic. When some think of SS, they only think of this song. After the Pirates of Pittsburgh adopted “We Are Family” as their theme in 1979 and won the world series, the song put SS even more on the map. “Lost In Music,” produced by Niles Rodgers, sounds like Chic. Heck, for so many years I thought it was Chic since it has that distinctive Chic sound. “All American Girls” tries to recapture the sound of the previous LP and singles. I never knew if SS was referring to themselves as all American girls. Introduction to Sister Sledge offers the best of SS. You get the big hits plus the ones that you never knew or just plain forgot about. One thing—don’t forget—when you list great family acts, make sure Sister Sledge isn’t forgotten.